La nueva sección del mundo mágico de Harry Potter Diagon Alley o Callejón Diagon ; abrió sus puertas al publico en Julio 15th del 2014en el parque temático de Universal Studios en orlando Florida. Este es un gran día para todos los seguidores de las historias de ciencia ficción de Harry Potter ya que esta nueva área es mucho mas grande que Hogsmeade la cual abrió sus puertas al publicó en el 2010. Tras el impresionante éxito de Hogsmeade, el nuevo Diagon Alley ofrece a todos sus visitantes experiencia de alto character interactivo en las cuales es facil sentirse como parte de las películas de Harry Potter. Orlando Discount Tickets USA a un precio muy razonable obteniendo tiquetes de admisión por solo $29 dolares para 2 adultos o acomodación y tiquetes por comenzando en $199 dolares hace posible que te embarques en esta mágica aventura. A continuación te informamos lo mas importante a considerera para visitar el Diagon Alley en los Universal Studios en Orlando Florida. 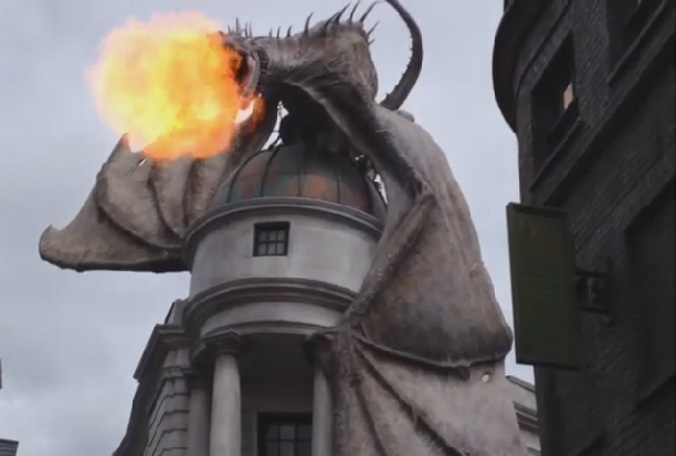 Si la razón principal para estar en el parque de Universal Studios es Diagon Alley desde el comienzo dirigite a esta aventura ya que al ingresar puedes llevarte la mayor parte del dia disfrutando de las atracciones y simuladores,, restaurantes y tiendas temáticas. Toma el Tren: Con la realización de Diagon Alley trae una gran sorpresa, el Tren Howgarts Express el cual transporta los pasageros entre Diagon Alley y Hogsmeade. Para poder disfrutar de esta nueva atracción que presenta una experiencia diferente en cada dirección que se toma los visitantes deben tener una admisión de parque a parque. Manejo del clima: Este preparado para usar ropa confortable si viene en verano o en las épocas de mayor humedad en Orlando.Si busca un lugar para refrescarse. Una vez este en la zona de Diagon Alley diríjase a Knockturn Alley donde encontrara una área oscura y fresca. Butterbeer: Esta es la bebida oficial de la película que esta disponible en la zona de Harry Potter. No se limite a buscar un solo carro el cual siempre va a aparecer ocupado, busca “The Leakyldron”, “The Fountain of Fair Fortune” en Hozont Alley , “The Hopping Pot” en Carkitt Market alli estaran disponible y no tendrás que haces extensas lineas. Baritas Magicas: En Diagon Alley encontraras baritas mágicas interactivas que una vez comprada podrás usar a largo del parque para realizar hechizos o tener diferentes experiencias personalizadas. Las nuevas baritas mágicas poseen un chip RFID y traen consigo un mapa sobre los lugares en las cuales la puedes usar. The Gringotts: La atracción estelar en Diagon Alley is “Harry Potter and the Escape from the Gringotts” el cual es una simulación de la película. Lo anteriormente mencionado nado y mucho mast e esta esperando en una aventura multi dimiensional en Diagon Ally en Universal Studios Florida. 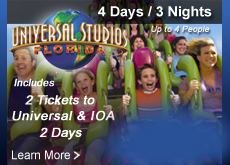 Visita nuestro websitet www.orlandodiscountticketsusa.com para programar su paquete vacacional. Magic Kingdom is the Theme Park in Orlando most visited for Families with toddlers and little children; it is the one that has the most of the rides, awesome parades and character greeting. Because everything is not for everyone Orlando Discount Tickets USA inform you the consideration you need with looking for having really fun at the theme parks with children: Kids meals: Look for kids menu at the Disney Restaurant or if you really want to offer and enhanced experience Dinning with the Disney Characters make your reservation at least with 3 month anticipation. Height Restrictions: The ride and roller coaster with more adrenaline require certain high restriction, for example: Barnstormer 35 in. 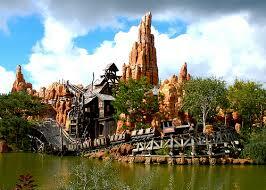 ; Big Thunder Railroad 40 in. ; Space Mountain 44 in. ; splash Mountain 40 in. and Tomorrow land Indy Speedway 54 in. Baby Care: Next to the Crystal Palace restaurant is a Baby Care Center. It is very important with babies and toddlers have access to changing rooms, nursing areas, a microwave and a playroom, all this plus diapers, formula, pacifiers and over the counter medications are available for purchase at this the Baby Center. Lost Children: If by any change you see lost children the best and more efficient thing to do is report them to Guest Relations or any Cast member. Fear Factor: Beside the high restriction some ride or coaster is designed for those who like scary elements. At Magic Kingdom the attractions that may scare little children are Astrorbiter, The Haunted Mansion, and Pirates of Caribbean. Hot or cold weather: At summer time when is very hot we encourage families walk through the stores instead of walking outside on the streets and walkways. The opposite way could be rainy day, which is very common in Florida for the humidity of its weather. Place check weather before heading t the theme parks and if it rains it does not matter you still have a lot to do at the parks. Just get a Poncho for $2 dollars at any convenience store outside the park. The only unfortunate thing of rainy days at the parks is that some of the attraction might be temporarily close and outdoors parades and fireworks can get cancelled. 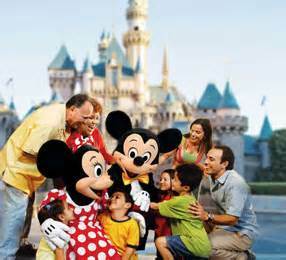 To plan your affordable vacation package for Florida with children visit our website www.orlandodiscountticketsusa.com for Discounted Vacation Packages or Discounted Tickets and pay special attention to next consideration at the Magic Kingdom theme Park with children. It is not hard to plan your vacation at Disney in Orlando Florida but with a little bit of patience you can make real the vacation of your dreams. 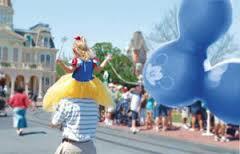 Orlando Discount Tickets USA advice you keep in mind the next tips to put together the basics on your preparation. Once you determine the next steps one of our representatives will give you the best prices for hotel and tickets for the Theme Parks in Orlando Florida. Choose a date to go: Any time will be great but if you have flexibility on your dates the first two weeks of December is the best time to visit Orlando Florida. At this time of the years especially in Disney you will have a lot to see, crowds are light, and hotel rooms are not so high. Decide the length of stay: Theme Parks has a lot to offer, counting with flexibility you will need at least one week because each theme parks needs at least one day. Where to stay: For a stay with flexibility the better option is plan your vacation package staying in a Studio o Condo where you can storage and prepare food and not feel so far from home because you have a kitchenette and dinning at the place. Flying or driving: If you fly get first your airline tickets and consider rent a car for a flexible stay. Airport is about 20 miles from the touristic area and the expenses in taxis from the Airport to the Resorts can be expensive. Inform yourself what you can cover: Because even Orlando locals expend years and years visiting the parks and they do not cover everything in one visit take some time to inform yourself and define what parks and what especially you want to do in any of the parks. Decide what park ticket is right for you and family members: Disney philosophy is the more you buy the less you pay. Disney. Orlando Discount Tickets USA can offer you Touch of Magic discounted tickets through our resort presentation or Magic Your Way Tickets. 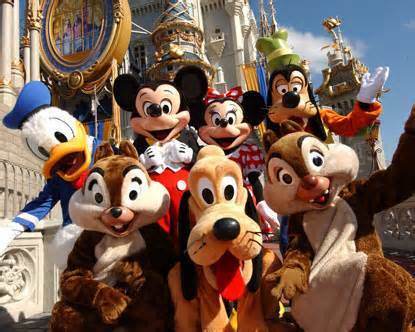 Contact Orlando Discount Tickets USA to book your vacation in Disney Property or very close to Disney for your convenience in Savings. 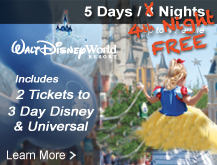 Check out our website at www.orlandodiscountticketsusa.com for all your Orlando Vacation Packages. Have you started planning your next vacation to Orlando Florida and getting doubts if Disney Theme Parks are the right option for you that love to break the routine and get your adrenaline pumping? …The answer is Yes off course! Walt Disney World with its four theme parks have a selection of Thrill Rides and Coaster that will take you to a exciting level of fun. The better way to maximize your coaster and thrills rides is getting your admission for the theme park with the upgrade to hopper option, that way you can schedule yourself for a day at the maximum potency. Through our Resort review discount at Orlando Discount Tickets USA you can get up to two admission with hopper option for only $89 each, for you and your guest to make a Coaster Marathon at the Disney Theme Parks. The awesomeness of Disney Coaster and Thrills rides is that all of them follow a great story. You can add to the story Disney tells us, your own version in the marathon you can prepare for your trip. As a suggestion we recommend start at Magic Kingdom with Space Mountain a then land at Frontierland to ride Big Thunder Mountain Railroad and Splash Mountain. From there leave Magic Kingdom park take the monorail enter to Epcot and start with a terrestrial experience at Test Track pass to aerial fly simulation at Soarin and end on Mars with Mision Space Ride. Once you leave Epcot get the max of your adrenaline at Rock’n Roller Coaster Starring Aerosmith, keep the action at Star Tour and finish your journey at Animal Kingdom with Expedition Everest , Kali River Rapids and Dinousaur. Remember all is possible with one admission with hopper option. Check out our website at www.orlandodiscountticketsusa.com for all your Orlando Vacation Packages. The Universal Studios Orlando Mardi Grass Event announced the Calendar of Concerts for the Mardi Grass 2015. Take a look at the artist the musical style of your preference and select your nights to visit this New Orleans. Beside the concert music will be performed at the French Quarter. To get your admission do not hesitate to visit our website www.discountticketsusa.com for affordable offers for 1 day or two day at Universal Studios Orlando starting at $29 per person. 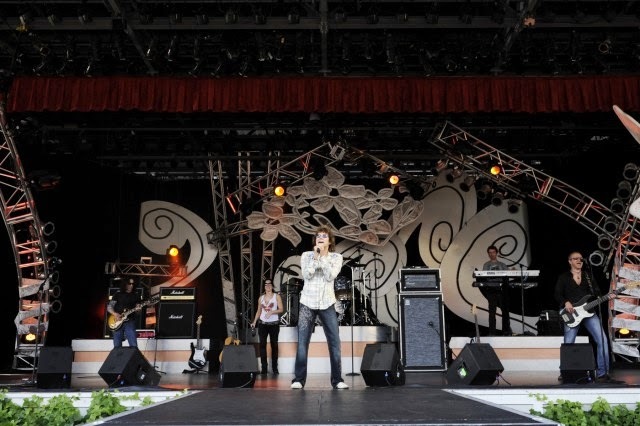 One of the high lights to don’t miss the Flower and Garden Festival at Epcot this coming spring 2015 is the returning series of Garden Rocks Concerts, starting at May 6th with Gin Blossoms “Hey Jealousy” and finishing on May 17 with Herman’s Hermits. For 2015 you will be able to enjoy pop and rock’s n roll bands during the weekends of the Festival at 5:30pm, 6:45 and 8:00pm. 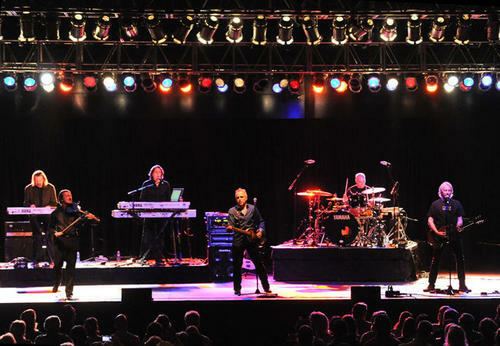 Concerts will take place at The America Gardens Theater. You just need to purchase your admission two people for Epcot for $29 each with Orlando Discount Tickets USA trough our resort presentation discount. 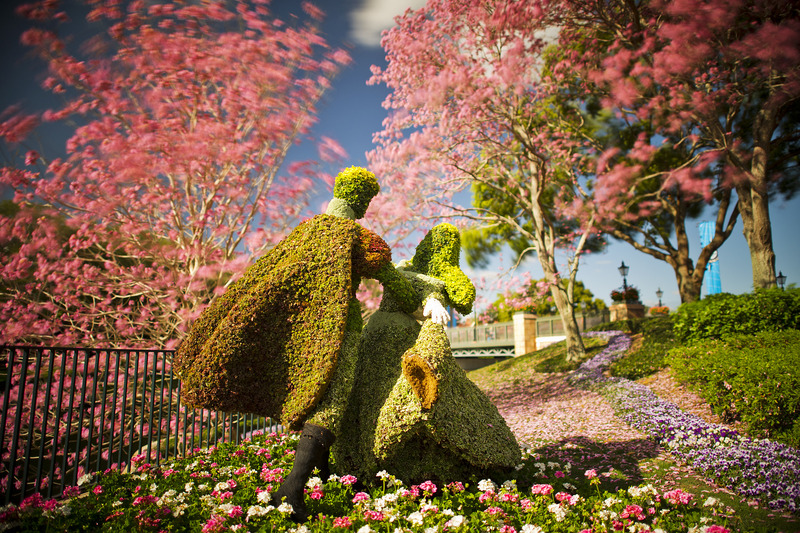 Let yourself be enchanted by the abundance of nature, their vibrant colors, multiple shapes, delicious aromas and tastes you have to visit Disney Epcot at Orlando Florida this coming Spring 2015 to celebrate with experts The International Flower and Garden Festival on its 22nd edition. This 2015 the Festival will start on March 4th until May 17. Epcot International Flower and Garden Festival is included with your Disney Admission and offer educational showcases and seminars for an extra fee. With Our Company Orlando Discount Tickets USA you can presence this event for you and a guest with only $29 per tickets though our resort preview discount or you can even book you Spring Getaway to Orlando Florida for just $199 with accommodation and tickets for Epcot. 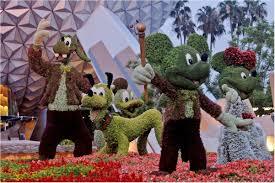 Every year Epcot feature dazzling gardens and very special experiences to bring to action all the senses all ages. Orlando Discount Tickets USA after presence the Festival Year by Year can testify how incredible beautiful and innovated, a must see with something new each time. 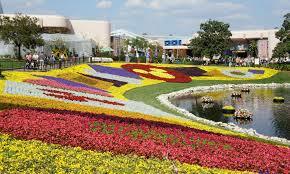 This 2015 the Epcot Festival will surprise with Stories never told before and the exhibition of “thriving ecosystem”. Our company give special gratitude to all Disney gardeners and landscaping designers from bringing so much beauty and harmonious scenes to Epcot. Gardening Work Shops: Exhibitions of flowers and garden displays with tips and techniques to practice at home. The stellar guest for the event will be the main character of the thrill Disney Frozen movie with participation of Ana and Elsa topiary. The most loved sister in 2014 will represent the finally scene at the World Show Case Plaza.Beside the beauty and wonderful events to celebrate Spring at Epcot will feature Outdoors kitchens at the International pavilions and exhibit new destinations relating the use of the season product to delight your palate.Check out our website at www.orlandodiscountticketsusa.com for all your Orlando Vacation Packages.